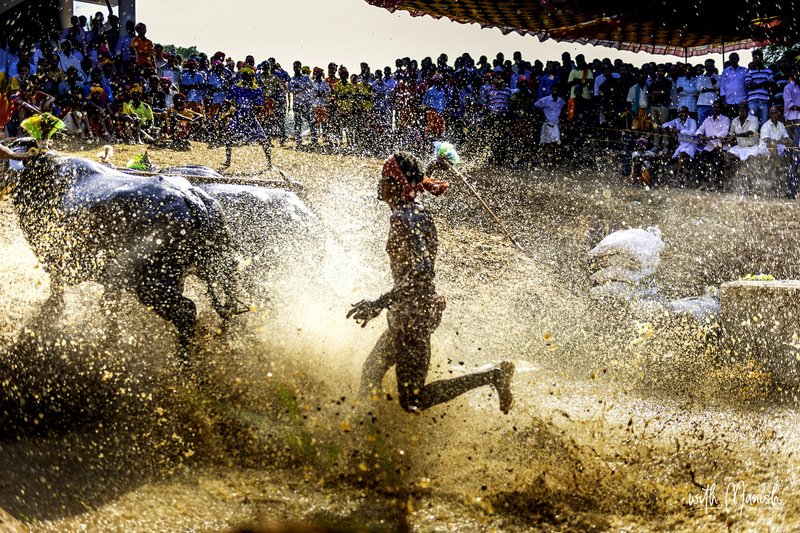 Kambala Buffalo Race Mangalore : It is the traditional celebration in rural Karnataka. 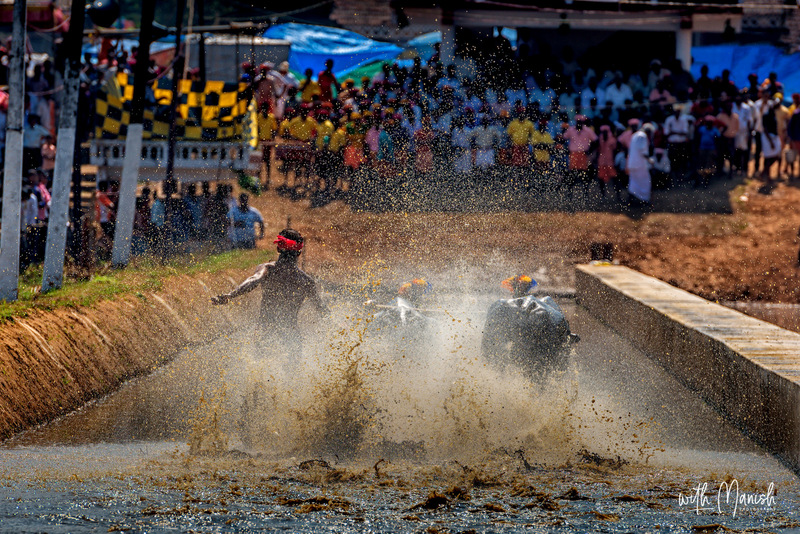 Kambala is an annual festival celebrated in the Dakshina Kannada district of Karnataka. 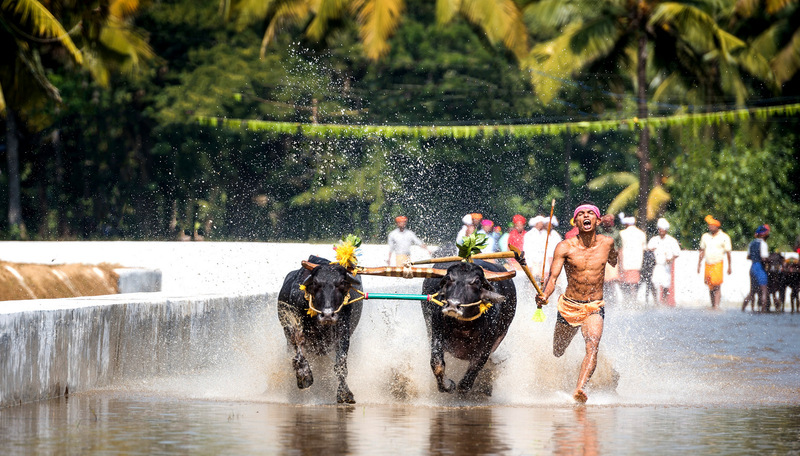 The festival involves the traditional buffalo race, a popular and unique sport among the farming community of the state. 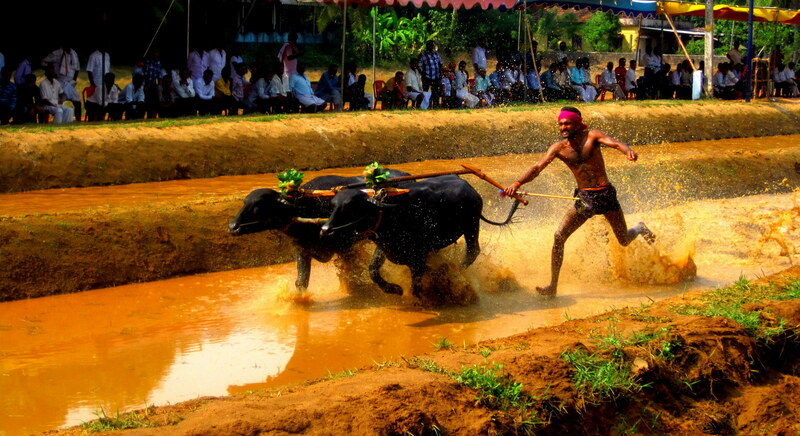 This yearly event is celebrated with much enthusiasm and fervour in most parts of Dakshina Kannada, including Mangalore. 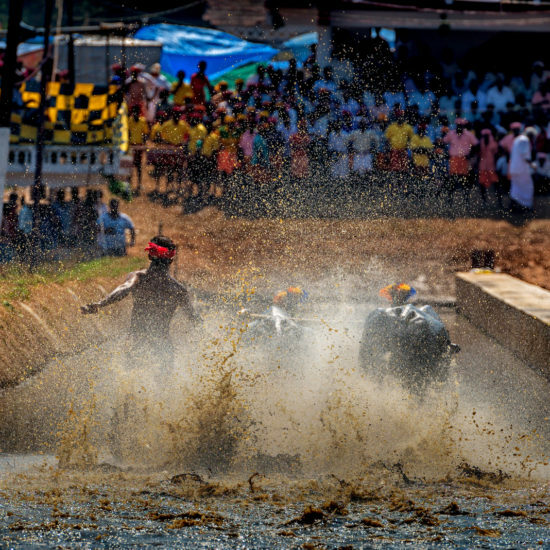 The Kambala festival season starts in November and lasts till March. 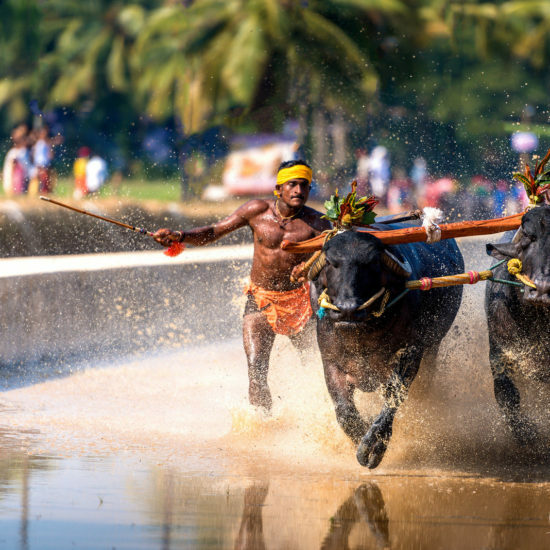 The origin of the Kambala celebration can be traced back to more than a thousand years. 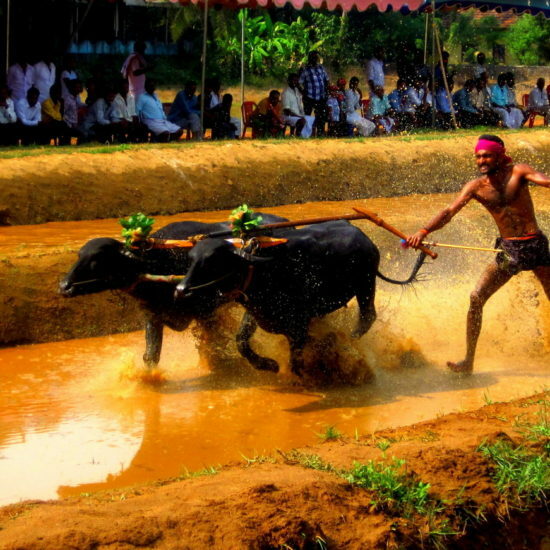 During the early days of the festival it was known as Karaga celebrations. 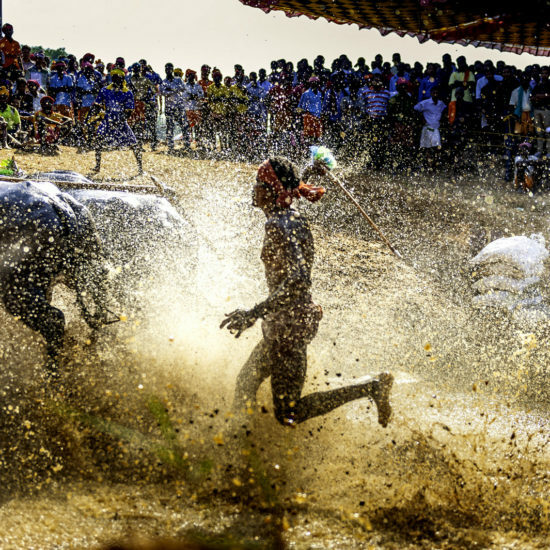 Later it came to be known as Kambala celebrations. There are different beliefs regarding the origin of the festival. 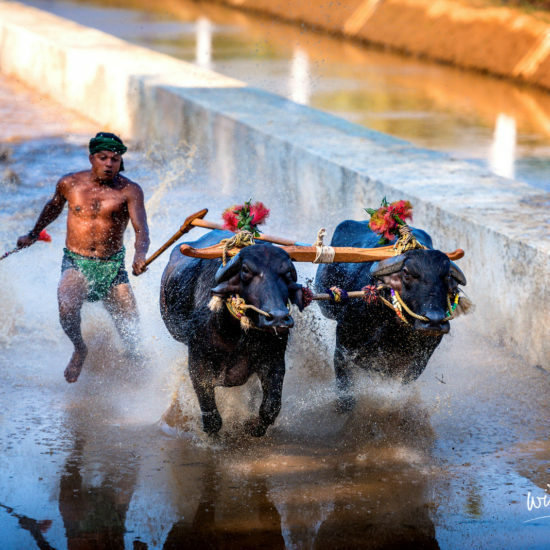 According to one belief, Kambala is a festival that originated in the farming community of Karnataka. 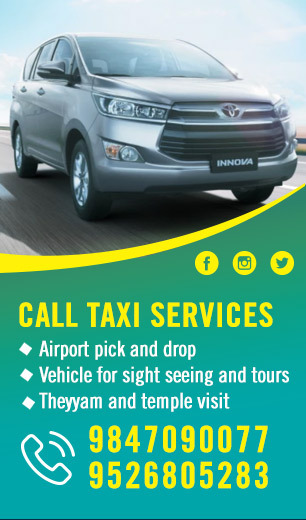 The festival is dedicated to Lord Kadri Manjunatha, an incarnation of Lord Shiva. It was celebrated to please the Gods for a good harvest. It was also a form of entertainment or recreational sport for the farming community. 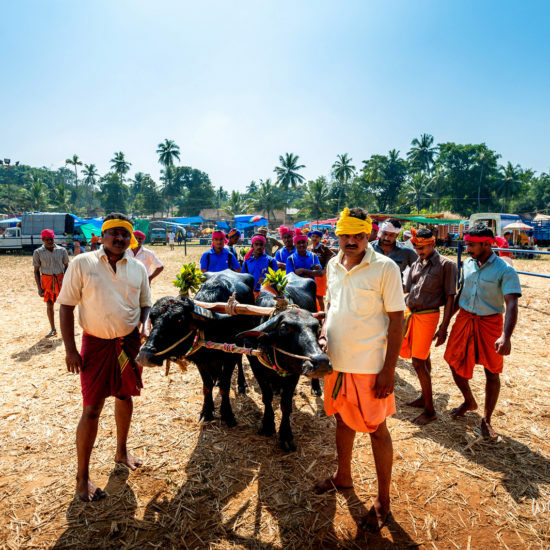 The winner of the buffalo race was rewarded with a coconut and such other things.The other belief regarding the origin of Kambala is that the buffalo races originated as a sport for the royal family’s amusement or pleasure. 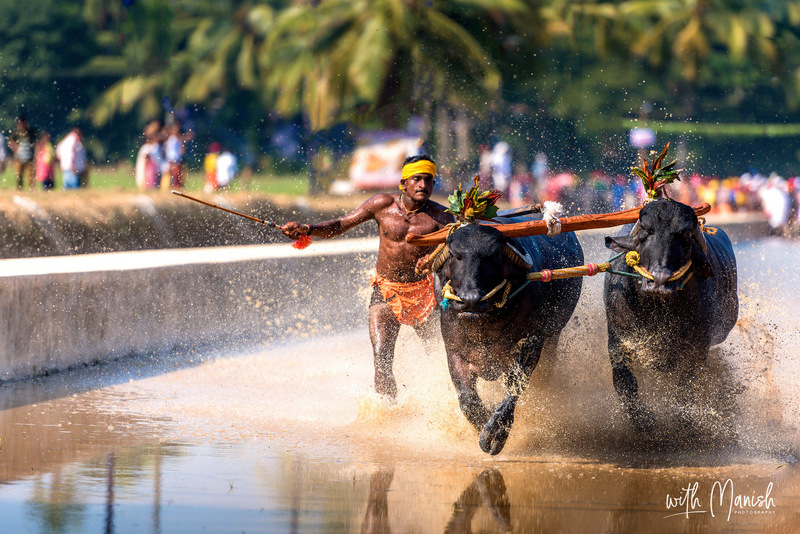 According to legend, the festival was started by the Hoysala Kings to see if the buffaloes could be trained and used in war. 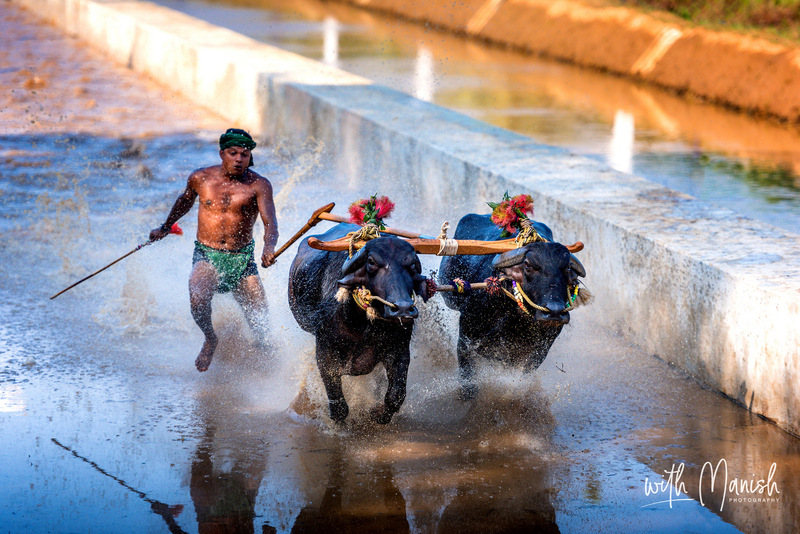 The Hoysala Kings were astonished to see the speed of the buffaloes and started racing them against one another. As such, this developed as a sport for the royals. Later the tradition was carried on by the feudal lords of those regions and finally it was continued by the ordinary people. The festival has managed to grow in popularity through the centuries. Today the age-old festival is organized on a large scale and a huge crowd gathers to participate in the celebrations. 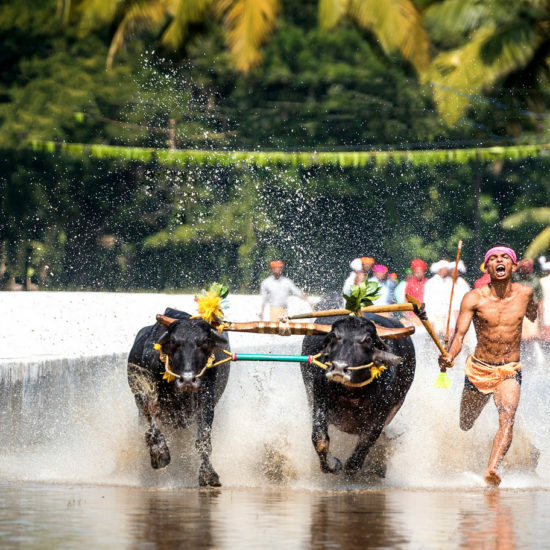 Kambala is a simple event of buffalo races that is usually held over a two-day period. 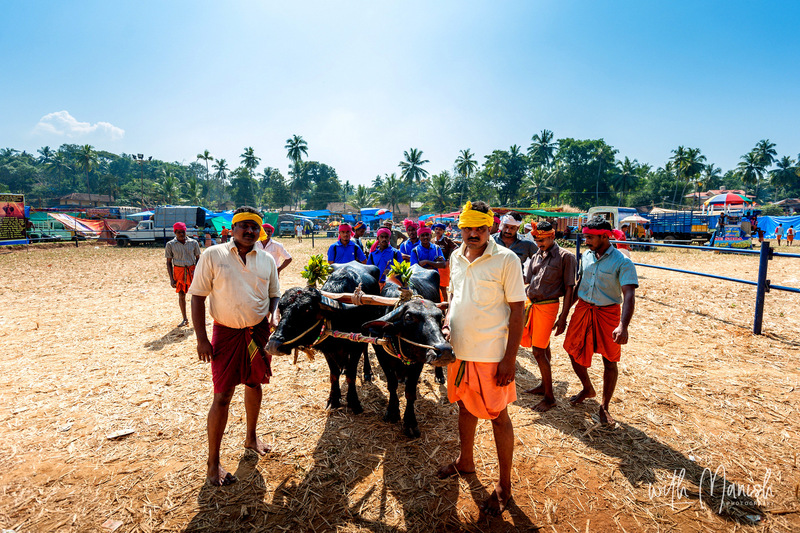 The festival begins with an inaugural ceremony and a parade of the participating farmers along with their prized buffaloes. 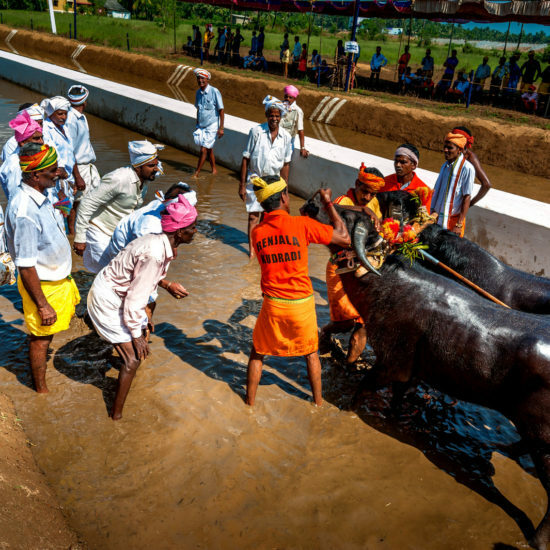 Soon after, the much-anticipated buffalo races start. 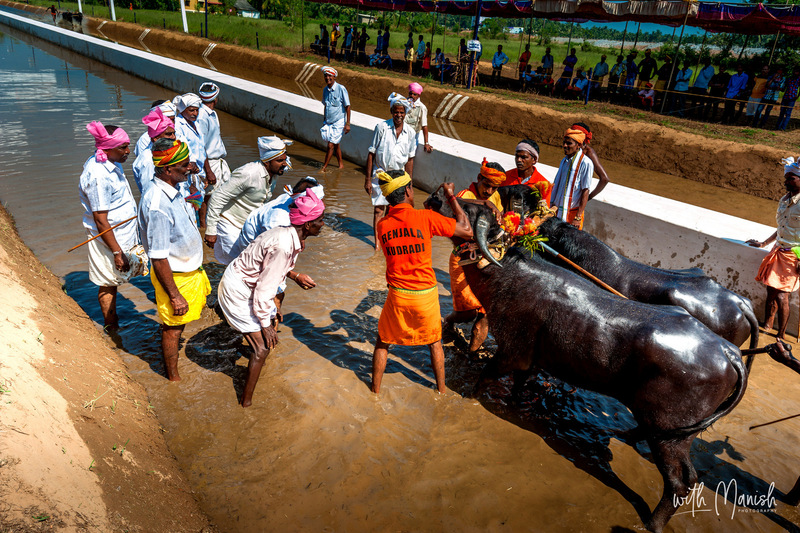 Each team comprises of two buffaloes and a farmer who controls the buffaloes. Two teams are made to race down two slushy tracks to determine the fastest team.